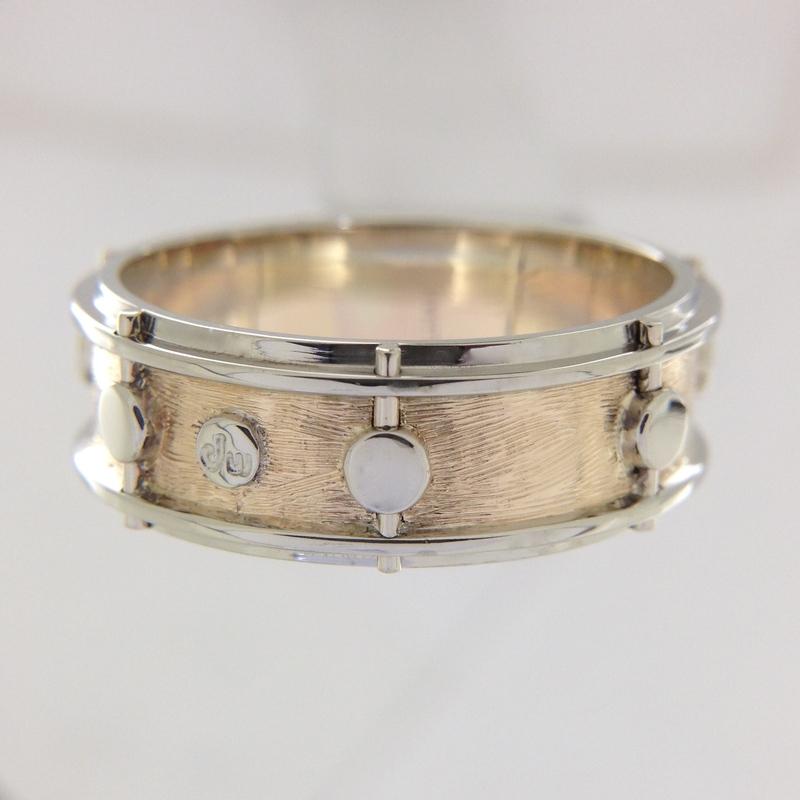 Here is another cool custom snare drum wedding ring. It all started when I saw his Drum Workshop shirt and asked him if he has one of those awesome drum sets. He does. (I’m so jealous). 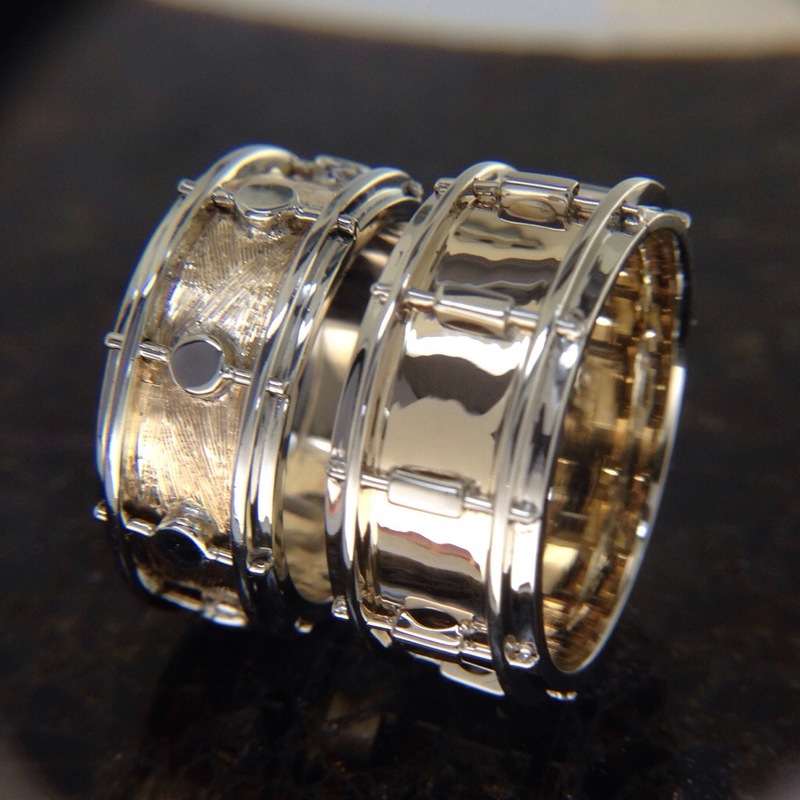 I showed him my drum ring and the next thing you know, his wife says that he has to have one. Lucky guy. 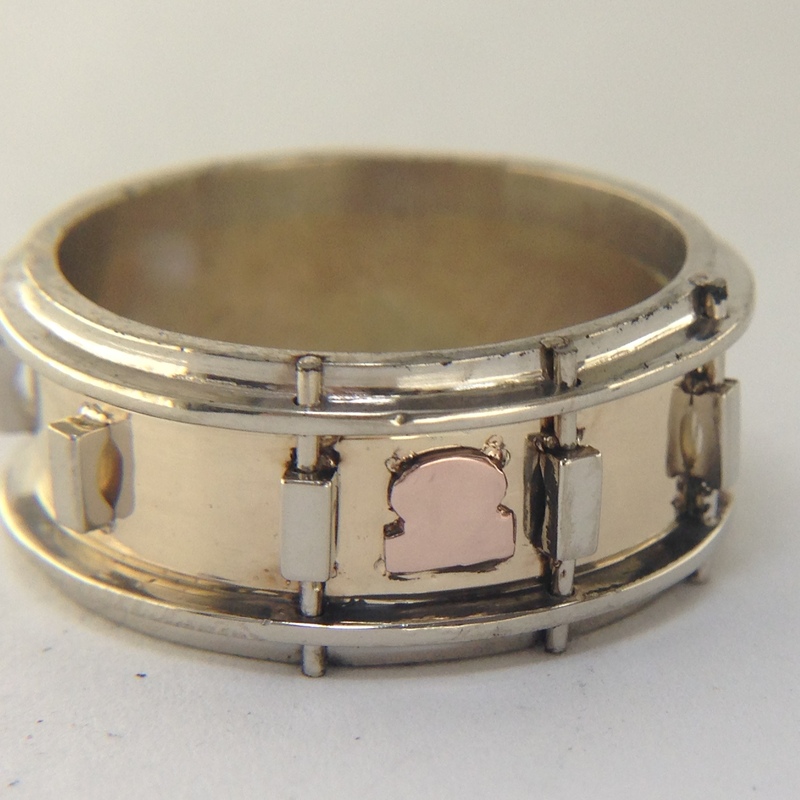 We got to work on his drum ring. 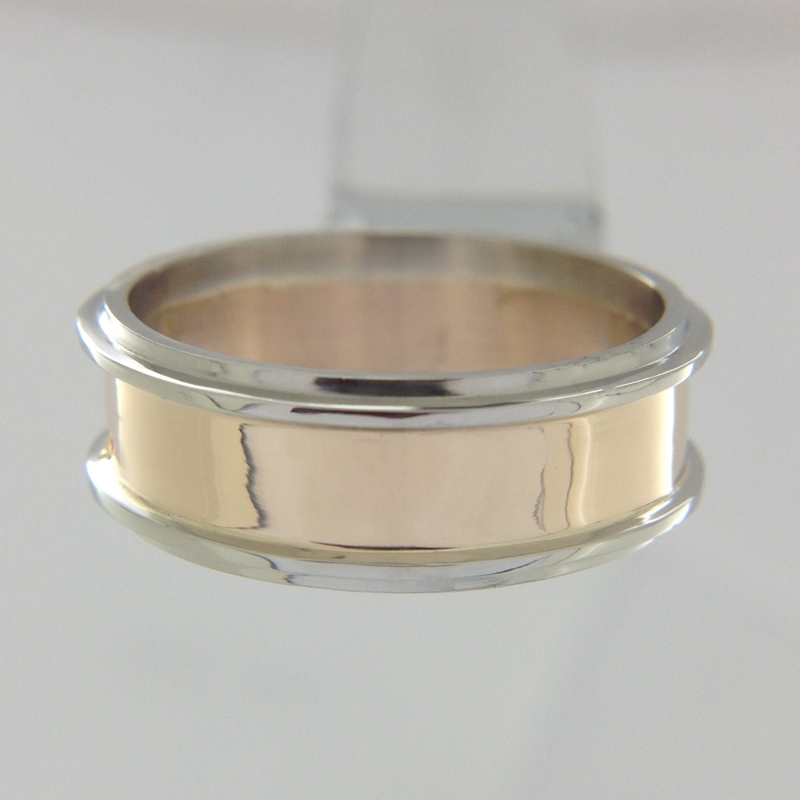 This 14k yellow and white gold ring is made up of 28 parts. 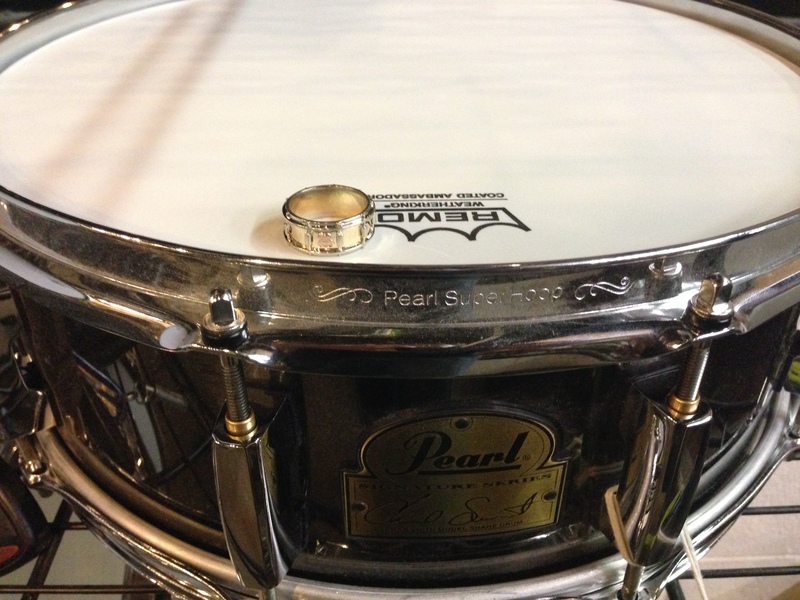 The shell and rims were milled in wax. 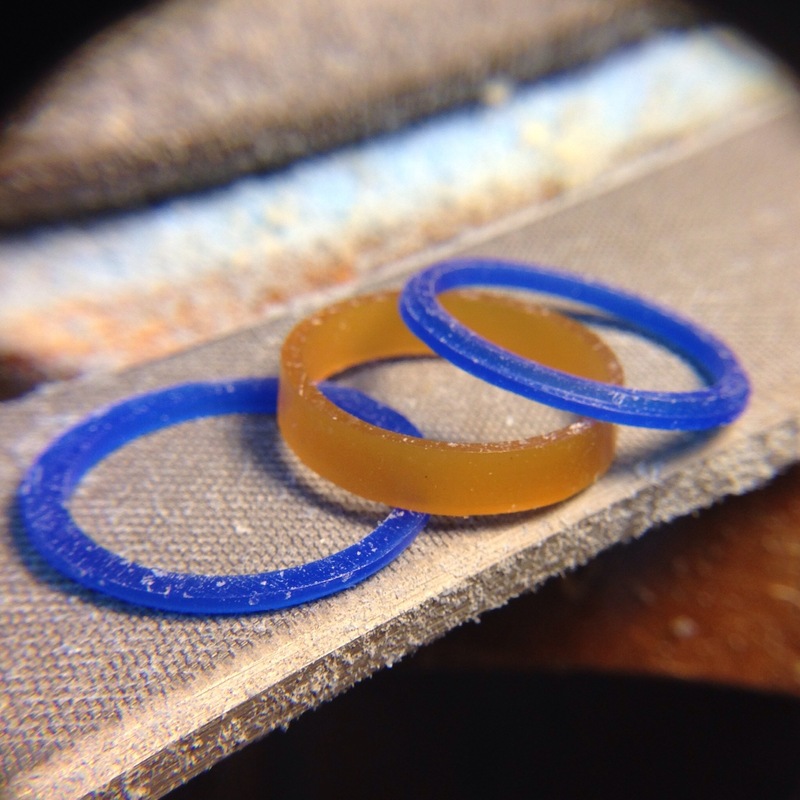 I did them in different color waxes just to help us in the shop keep straight the color of metal each were to be cast in. Shown here is the shell, rims and lugs assembled after casting. 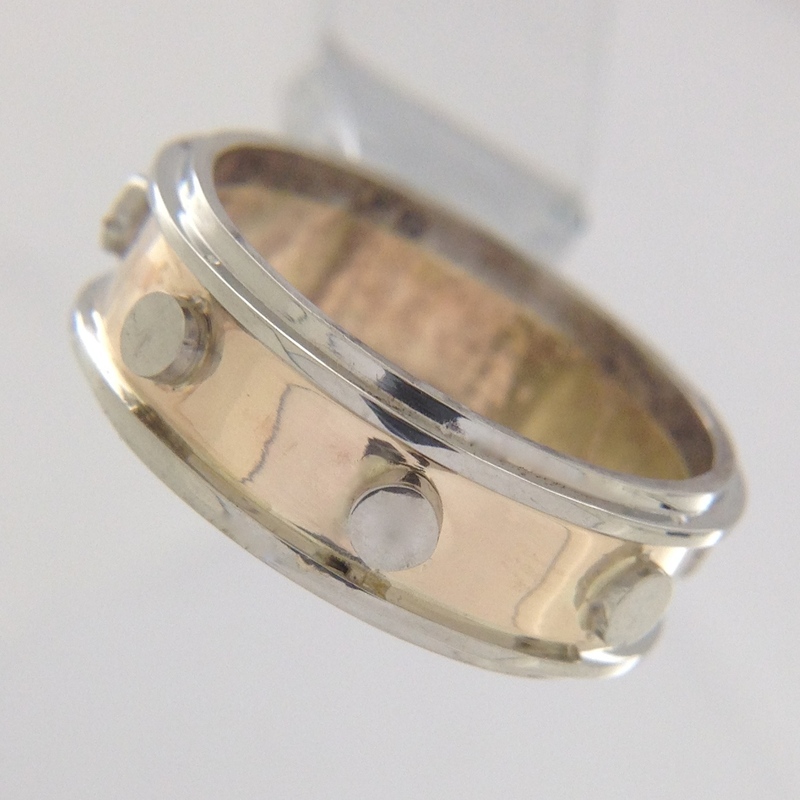 The lugs were fabricated from a rod of white gold, cut into little slabs. Each was concave to have as much contact with the shell as possible . It took about an hour just to space out the 8 lugs and to laser tacked them in place. 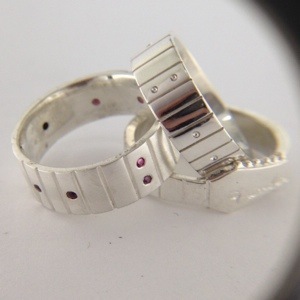 Then I soldered them on at the bench with a torch. 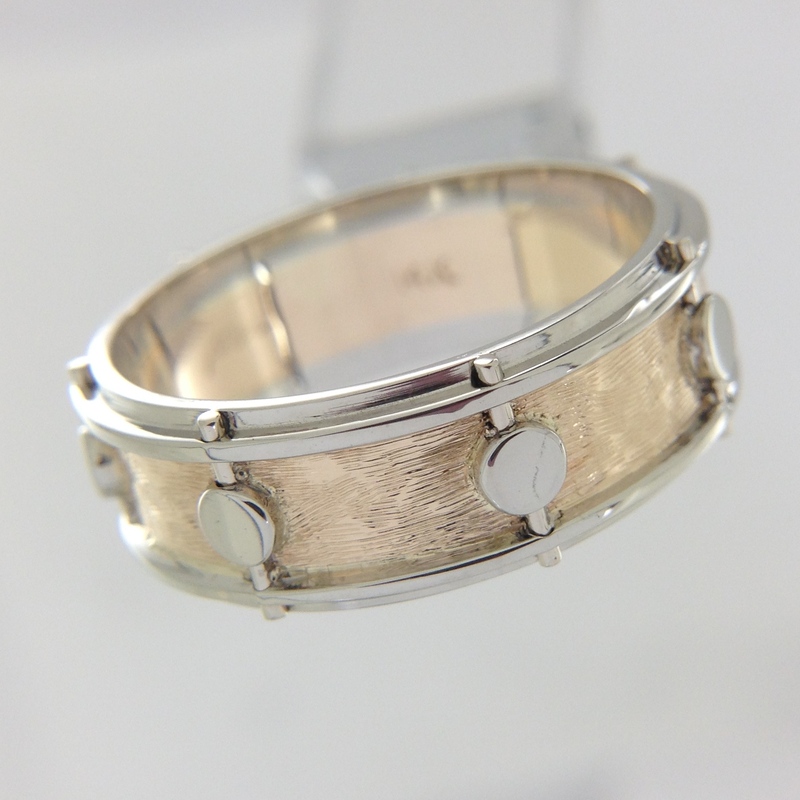 The 14k white gold 20 gauge wire used for the tension rods were laser welded in place. A florentine graver was randomly used to give a wood grain effect. 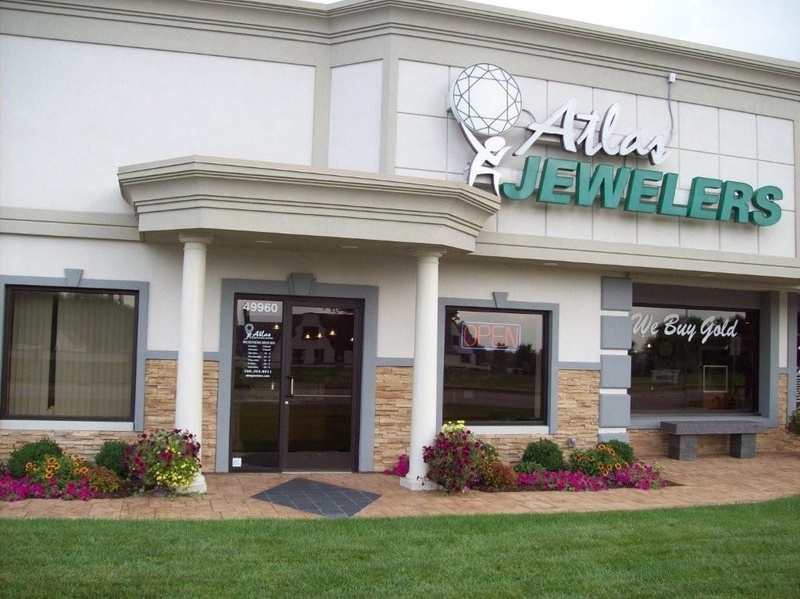 Jim Edwards from the Rockets showing off his Detroit pride with his Atlas Jewelers “D” ring. 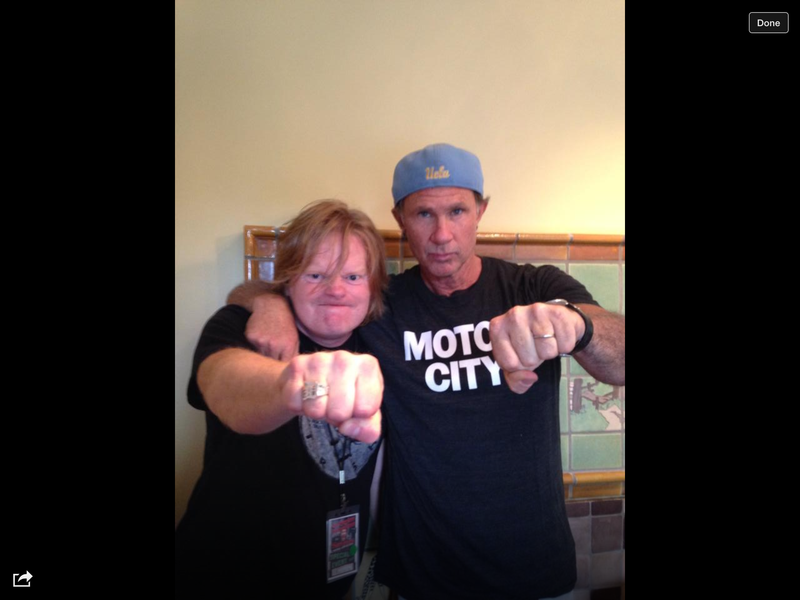 Chad Smith showing off his marriage pride. 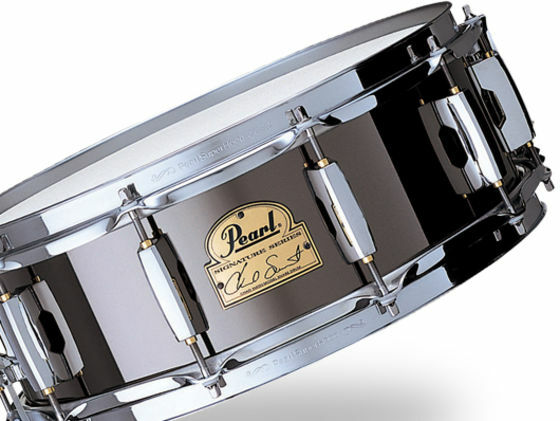 The Chad Smith Pearl SignatureSeries snare drum. I carved the wax pieces and cast them in their respective metals. 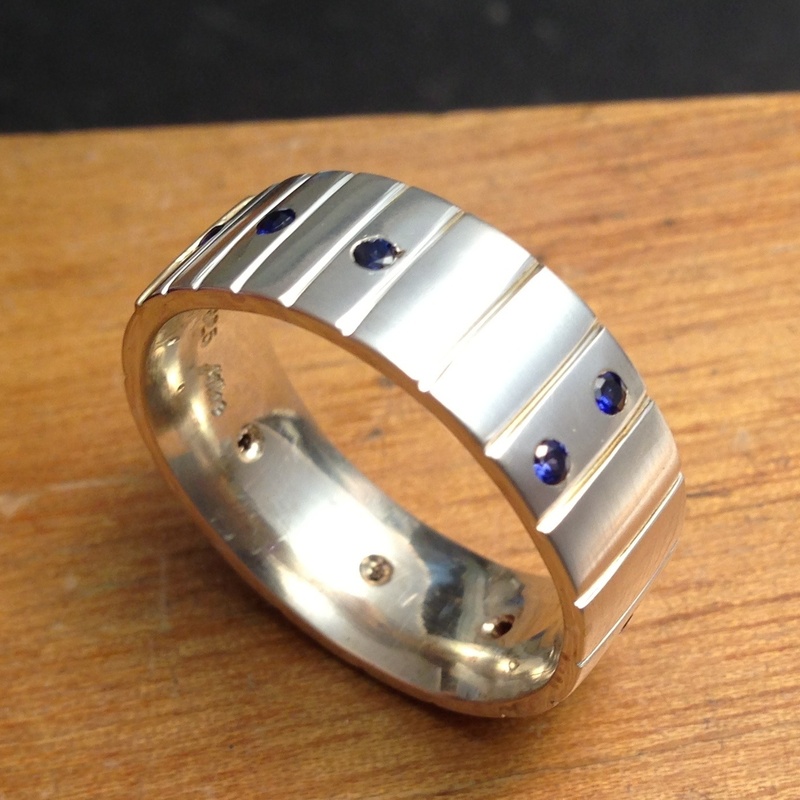 I assembled the 14k yellow “shell” and 14k white gold “rims”. 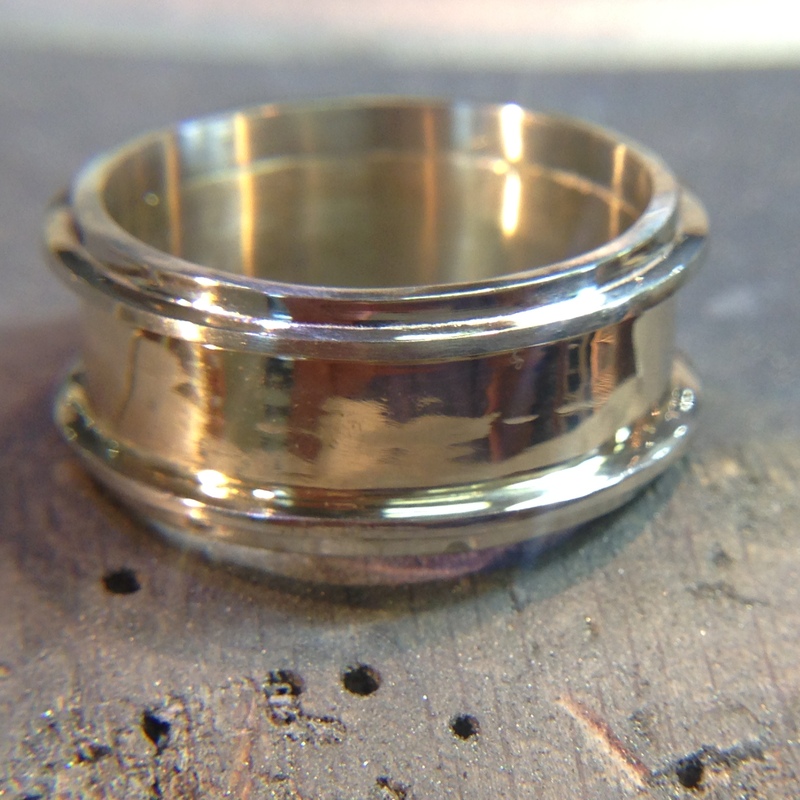 I hand fabricated the “lugs” from a rolled ingot and made the “tension rods” from wire. I also made a 14K rose gold name plate. 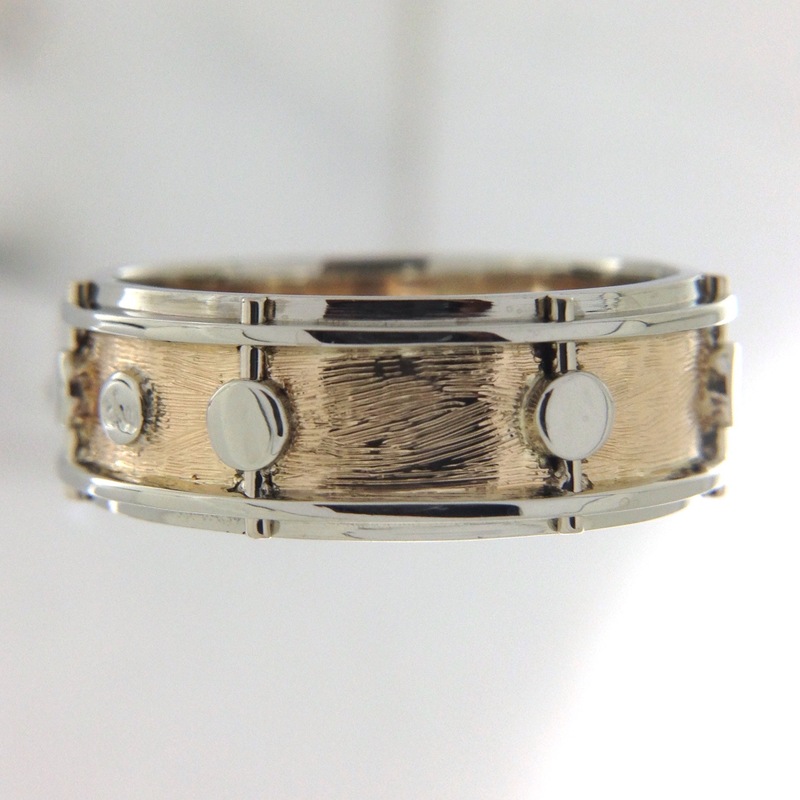 Please check out one of my new web sites featuring snare drum rings and guitar fret board bands. 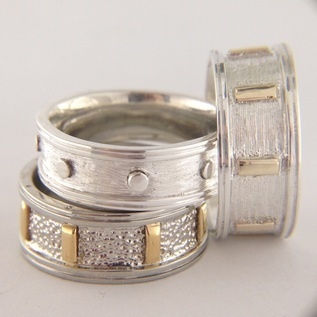 They are usually made to order, however we do carry a few in stock for modeling purposes.